An important aspect of the subconscious mind is its ability to formulate beliefs about ourselves, other people, and the world around us. This is in part how we learn about the world around us, and is also part of a protective aspect of the subconscious mind. As the subconscious mind takes in information from the outside world, things that tend to consistently happen in a particular way begin to form into beliefs. Then these beliefs can become “truths” to us - something we know to be true and don’t question anymore. In many cases these “truths” can be helpful, for example, learning that something glowing red is likely hot and can burn the skin so don’t touch it is a healthy belief. It’s not always true though, and over time we learn to distinguish the glowing red parts that aren’t hot (like a light) from a glowing red that is hot (stove or hot coals). But there are other beliefs that we hold about ourselves and the world around us that aren’t even true. These beliefs are called Limiting Beliefs. They are based on misunderstandings and “bad data” from our past. But we’ve believed them for so long that they’ve moved into the background of awareness for us and we just know them as “true” now, and don’t question their validity. This is one area where hypnosis helps us step get a new perspective to notice these Limiting Beliefs and be rid of them for good. Here’s a story to illustrate how limiting beliefs are formed. Sara comes home from school feeling sad and a bit disappointed. She didn’t get the part she wanted in the school play. The Dad loves his little girl, and noticing that something is wrong asks what’s upsetting her. She starts crying, telling her dad that she didn’t get the part she wanted and she doesn’t feel good about herself. And with that, they have some ice cream together - her favorite treat, and she does feel better - at least for a few hours. But the next day at school, Sara doesn’t feel so well. She got a few answers wrong on her spelling test, and that old familiar bad feeling - not feeling good about herself - comes back. She wishes she were back with her Dad having ice cream. And over time, eating ice cream to “make everything better” becomes a real problem for her as she begins turning to ice cream for all the issues in her young life. She gains weight because of it, and feels even worse about herself. An innocent and well-intended comment by her loving father had unintended consequences, and years later the little girl is struggling with her weight and with her own self-worth and self-image - relying solely on ice cream to help her feel better. Some of our own limiting beliefs can start in the same way - innocently, or in a moment when we didn’t feel good enough or smart enough. Then over time, we notice all of the instances that support that belief. But just as with the story about the little girl - they’re often not even based on the truth, because although the ice cream did make her feel better temporarily, in the end she ended up feeling worse because the ice cream caused her to gain weight. What she didn’t realize until much later was that although the ice cream tasted good in the moment - it wasn’t what actually made her feel better all those times with her Dad. It was the love and support of her Dad that made her feel better. Those good feelings were erroneously attributed to the ice cream itself - instead of love from her Dad. At a later age and through the help of a compassionate hypnotist Sara was able to separate the good feelings associated with ice cream with the love of her Dad. Now, when she feels bad she reaches out to loved ones to feel better instead. Mary was a typical client in that she had tried everything on her own to lose weight that she could think of that seemed reasonable to her. There is certainly no shortage of weight loss plans and programs to be on, and she had tried all of them. Mary told me she was saying things to herself that she knew were not helpful. Things like “Just eat it, that’s what you do” (in reference to candy in the break room at work), and “I’m stupid”, “My thighs are enormous, I’ll never fit in those pants”, and “Why can’t I ever do anything right?”. Many clients think it’s normal and acceptable to talk to themselves in this way. And it may be common, but I don’t think it’s acceptable for the very reason that you would very likely not ever talk to anyone else in the same way - so why talk to yourself that way? 1. Negative self-talk is a natural way our minds prioritize things. It comes from a biological construct called a Negativity Bias. Our Negativity Bias is one of the things that has saved us over the course of human history. It’s our brain’s ability to focus on the negative for survival. Imagine that you’re running for your life - being chased by a saber tooth tiger (negative), when all of a sudden you see a beautiful shiny red apple (positive). Now you haven’t seen nor eaten an apple in months, maybe years, and you’d love to stop and pick up and eat that apple, but if you did, you’d be eaten by that hungry tiger. That negativity bias just saved your life. Our negativity bias has helped humans focus on the negative to survive, so it is a natural response. 2. Negative self-talk is a bad habit that has been reinforced over time, and it can be changed. Our brains are chemical, and we often have thoughts that are just out of habit. You are not your thoughts. Habits can be changed. Understand that your first thought is often based in biology - our natural Negativity Bias, so you can throw your first thought away if you don’t like it. You get to choose your second thought. This means you get to choose whether you continue with that line of thinking or not. On second-thought is a powerful tool reminding you that you choose the second thought. 3. Negative self-talk is a flawed technique with positive intention. I asked Mary if she would ever talk to a good friend or a child like that - like the way she talked to herself. “Of course not”, she replied, “it’s not nice or helpful”. At this point, Mary began to smile because she understood how this applied to her as well. Underneath everything we do is a positive intention, and Mary was likely using negative self-talk as a motivational technique for change, but it wasn't working. And she had been doing it for so long that she didn’t realize how damaging it was. She didn’t realize that whatever we focus on grows. She didn’t understand that if she’s focusing on the negative, she’ll see more of it, and pretty soon all she’ll ever see is what she does wrong, which will lead to low self-esteem and feeling bad all the time. Instead I asked her to start treating herself like she would a good friend going through a similar situation, including speaking to herself in a more positive, uplifting way. Focusing on positive self-talk and encouraging words, emphasizing what she would say to a friend going through the same thing which is usually an approach based on kindness and compassion. Suggesting that she focus on what she was doing right, including positive qualities and what was working, the negativity decreases naturally. But there’s another really important aspect here about how the mind works. Because what we focus on grows, when we focus on what we’re doing right - we’ll actually see more of it day after day. As we see more of it, we’ll actually do more of it as well. This is an important part of making change in our life - the ability to make small, incremental changes day after day. Another common issue that my weight-loss clients struggle with is self-sabotage. This is usually related to knowing what they should be doing, but doing the exact opposite. This appears as though they are sabotaging their own success. The good news is that in most cases, this self-sabotage is merely a misunderstanding of how the mind works. The limbic system just wants to feel better now., and the prefrontal cortex wants to feel better in the long term. Self-sabotage is usually an aspect of focusing only on the now - feeling better now, and paying for it later. I call this borrowing from tomorrow’s happiness. And we do it all the time. But to be clear it is NOT self-sabotage. You are merely choosing to feel better now and alleviating the needs of one part of your brain (limbic system), instead of the needs of the other part (prefrontal cortex). You are not purposefully hurting yourself or damaging yourself, you’re basically putting a band-aid on a situation instead of fixing the deeper issue once and for all. How we think about things matters - it drives our behavior and helps us make important choices about our lives. But it can also work against us, and many of our thought processes are couched in biological constructs that if we don’t understand, can feel like our brain is working against us, or that there’s something wrong with us. The good news is that each of us is able to change and make good use of these biological constructs to our own advantage. Mary realized there’s nothing wrong with her - she was just thinking about things in a way that wasn’t helping her. She had some bad habits of thought, and after learning how the mind works to protect us, how beliefs are formed, and how the two parts of our brain often make us feel conflicted, Mary had a better understanding of herself and why she had so much trouble in the past losing weight. With this new information about how the mind works, Mary was able to start using her appetite to help her eat in accordance with her body’s natural processes and she started losing weight right away. She also understood why she turned to food for emotional reasons, and that she wasn’t self-sabotaging - she was just trying to feel better in the moment. She came up with a better response to soothe that part of the brain, which helped her feel more in control. She also started focusing on what she was doing right, and treating herself more compassionately and noticing things that were working. This helped her to feel better immediately - because her reality was more hopeful, peaceful, and happy. Even before Mary lost a single ounce, she was already feeling better about herself, her ability to lose weight and keep it off for good. Copyright 2017 by Erika Flint. All Rights Reserved. Morgan James Publishing in partnership with Difference Press. Erika Flint is an award-winning hypnotist, author, speaker and co-host of the popular podcast series Hypnosis, Etc. 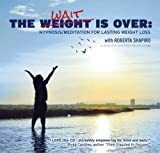 She is the founder of Cascade Hypnosis Center in Bellingham, Washington, and creator of the Reprogram Your Weight system. 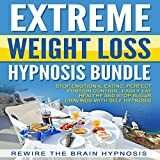 Her book, Reprogram Your Weight: Stop Thinking About Food All the Time, Regain Control of Your Eating, and Lose the Weight Once and for All (Difference Press 2016), unveils how hypnosis taps into an individual's inherent power for weight loss success. Visit CascadeHypnosisCenter.com.